Never feel alone...roam all the world...reach the sky ...fly high ..these are my strong feelings till to this moment, this is the feeling which took me to Auto show 2009 happened in Bangalore palace grounds. 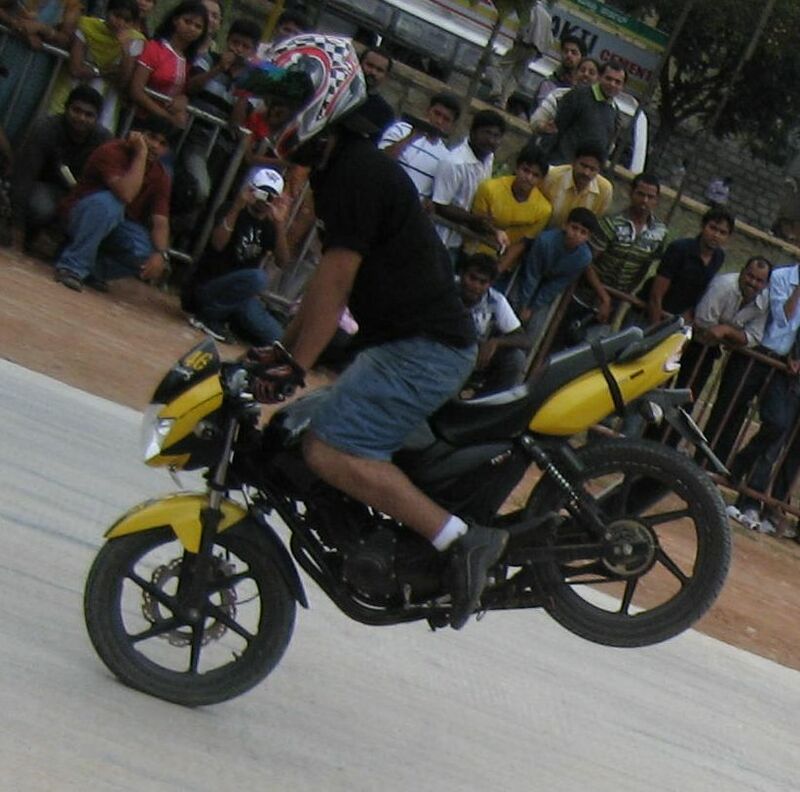 It was really a splendid, biggest and most electrifying auto show in Bangalore as advertised. When I saw the publicity cut out I have a plan to see but I really did not expected this much bash over there. With my friend I reached the place around at 12:15 PM, we really don't have a single clue about the programs timings there, but we are lucky enough to see the stunt show by bike riders.It was really spectacular,breathtaking and stunning stunt show. Yes for some feats many people were breathless for seconds. Though the organizers gave more publicity to the bike rider Adil the other riders also excelled undoubtedly. These riders used re-modeled pulsar, apache, and Honda Dio vehicles. But the way they have done the wheeling is wondrous. the burn out feats and touching the ground feats are astounding.In the middle the smallest bike was shown on the track by driving. It was funny. After the stunning show there was an amazing belly dance show by two dancers which was again spectacular and breathtaking. I never such a perfect and belly dance in any movies or shows. Immediately after this we entered into exhibition place where organizers arranged huge collection of World class vehicles under one roof. Really the the motor vehicle lovers can enjoy this fest for sure. All worlds class best vehicles under one roof. But the good part I like here is the old vehicles sorry antique cars placed beside the latest cars proved again the "old is bold". The old car manufacturers like Beetle,jaguar, and Ford are worth watching. Along with this few Volkswagen cars were placed there and their owners names were displayed on them.The BMW cars displayed there dragged many people to just stare for long time and we can imagine the photo lovers for posing and taking snaps.The super bikes from Suzuki like Hayabusa and intruder along with Royal en field and bullet were shown there. There are TATA,Hyundai and Mahindra stalls where they showcased their latest cars. Along with this there are few stalls which exhibited the car accessories like vacuum cleaners and GPS systems. Among the displayed cars i remember few names of those ...skoda-fabia and octiva,Tata -Dicor,safari and Nano and Hyundai - i10,i20, Mahindra -Xylo,Scorpio,Logan,Ford,Endeavor, Over all it was a wonderful Auto show 2009. Note: Enjoy the more photos in the slide show below. 8 comments to "Auto show 2009 Bangalore-Hot bikes and cool Cars"
thats true...its really a rocking performance..But i expected at least one performer to lift front wheel which did not happen. What ever over all it is rocking show...especially exhibition...of bikes and cars....great show..